The snag with having the real hardware of course is that decent screenshots are out of the question and I’m just pointing my phone at the TV instead. Ultima 3 on the NES turned out to be a decent and reasonably faithful port which was something of a pleasant surprise back when I played it last year. My concern (which is probably justified from what I’ve heard) is that each of these games is going to be slightly worse than it’s predecessor as the scope grows further beyond what a console of the time was capable of. There is some evidence of this right from the beginning with the famous introduction to Ultima 4 reduced to a simplified version of the virtue questions + a speech from Lord British about how he knows I will become the Avatar. One of the great aspects of Ultima 4 was that you didn’t know your quest right from the start, and even when you found out you were just one of many in Britannia with the same goal. It suggests before the game has even begun that this is going to be a simplified world and this proves to very much be the case. It has to be said that the graphics do look quite nice for their time. This could easily be a Final Fantasy game at a cursory glance and it’s about as good as it got on the NES. I cannot say the same for the soundtrack. A portion of it can be said to be tolerable, other parts made me wonder if the sound chip on my NES was faulty. Why the original score wasn’t used over this I have no idea. The interface has of course been hugely simplified and works well within the limitation of a two button pad. It’s menu based with the most commonly used verbs quickly accessible and the lesser on a second screen. Combat is handled a little like Ultima 5 with a target crosshair for attacking which allows arrows to be shot in more than straight lines in this version although I still can’t attack on diagonal lines with a sword. Another tweak is the ability to ready both a bow and a sword simultaneously with the bow not able to be used at point blank range. The combat has been unbelievably easy so far and I don’t remember finding it such a walk in the park in these early stages on the PC version. I have never been in any real danger in the 90 minutes I’ve played, although I haven’t been fool enough to seek out a dungeon at this point. There is an impression still that this has been aimed at a younger audience. 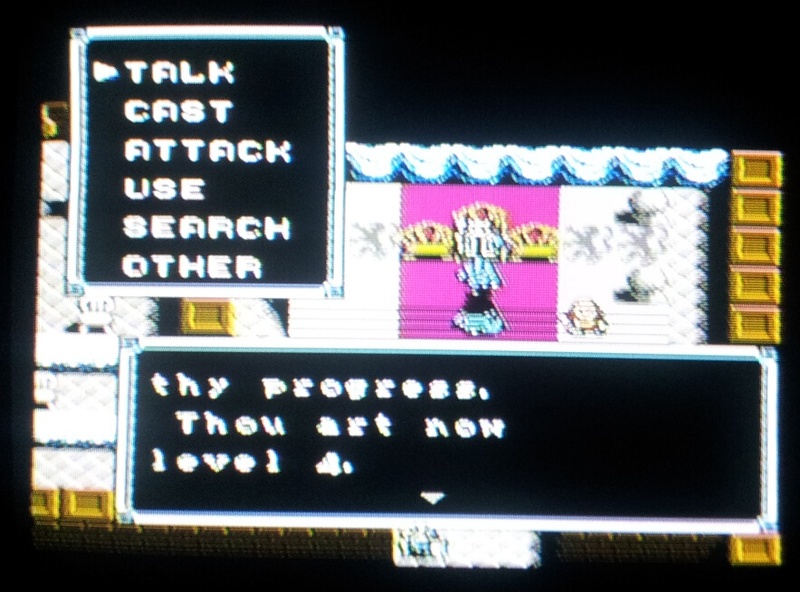 The aspect of Ultima 4 that was the biggest leap forward from Ultima 3 to me was the conversation system. This added an adventure gaming element where you had to figure out who to ask what, making notes as you talked to everyone in each town. This is the part of playing Ultimas that probably holds the most appeal to me. I expected this to be simplified for the NES port but I honestly thought there would still be more to it than there is. 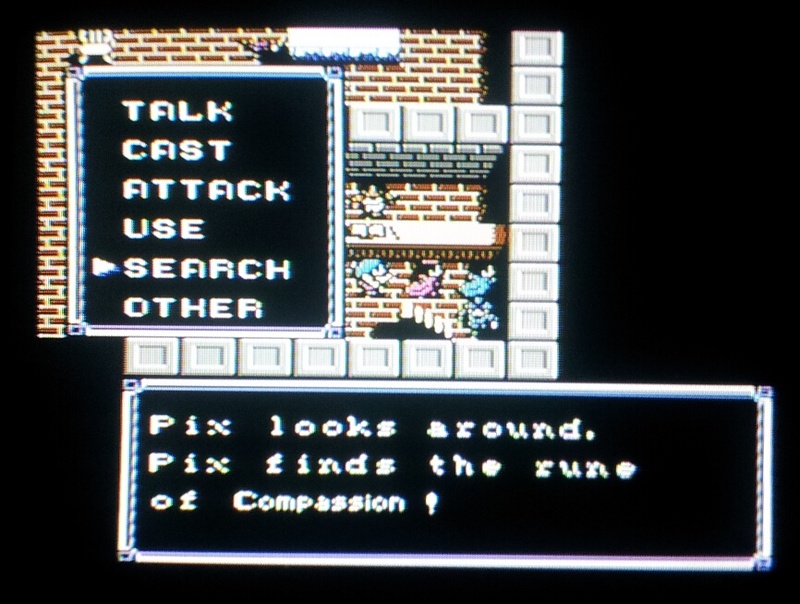 We are almost back in Ultima 3 territory with most NPC’s reduced to a single paragraph of text. There are exceptions in the case of Hawkwind and Lord British, a rare few have a second alternative line of text when talked to again + there is the odd Yes/No choice to make but that’s it. To add insult to injury the towns themselves are simpler with far fewer inhabitants. From what I have seen, there is hardly any exploring to be done and it’s a definite loss. I played for about 90 minutes and managed to get myself a full party (only 3 companions), explore a couple of towns, found a rune or two and that’s it so far. 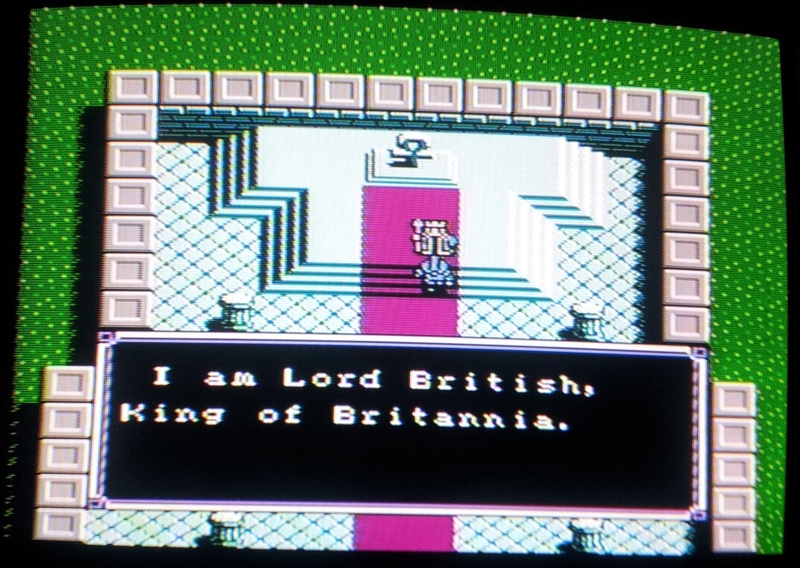 Everything is Britannia is where I would expect it on the main map, which is a definite plus point. 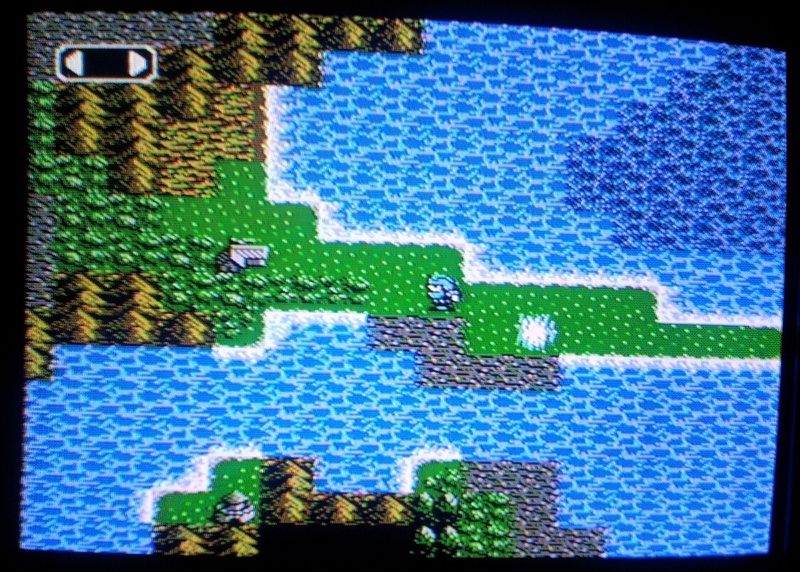 There aren’t any monsters walking around on that map and it’s just random encounters ala Final Fantasy which is a point against. The combat gets a little slow with a full size party + the number of monsters increases. There is a definite temptation to drop my party down in size and speed things up, not sure if that is viable or not and if anyone has any advice I’d be glad of it. Saving is now only possible in inns which would be an irritation if the combat wasn’t so easy. One odd thing I spotted was that in Yew in the original you were asked something along the lines of whether you were guilty of any crime. You were supposed to answer that you were, spend a night in the cells as punishment and find the rune. Here you have to give the opposite answer to prove yourself worthy to be told the location of the rune and then break into the prison to retrieve it. This isn’t a change for the better. So overall first impressions are, it’s OK, not great but OK. It’s not exactly Ultima 4 any more and seems to have lost much of what made it such a classic. This plays like a Final Fantasy/Ultima hybrid not quite living up the standards of either from what I’ve seen but after 90 minutes I haven’t seen that much. I’ll play it until I’ve got partial avatarhood in a few virtues and done some dungeon delving before I come back for part 2. I’d just got a ship when I stopped so I’m planning to head to Buccaneer’s Den to buy the tools to open all the locked doors I’ve been running into. While I’m posting, I noticed a copy of Origin’s second game Caverns Of Callisto on Ebay which may interest one or two readers. I know all too well that you don’t see boxed copies of this coming up all that often although the asking price with a day to go is already reflecting that and then some. Also, there was a curious Google+ post from Richard Garriott yesterday “Working hard on our next FRPG! Getting back to me roots! More info to follow!”. He confirmed that the F stands for Fantasy and not Facebook but basically no more info has followed at least yet. Whether he’s referring to Ultimate RPG I’m not sure. The concept art I saw wouldn’t really have put it in the fantasy realm so possibly not unless it’s had a change of direction. I’d love to see a new single player game but I think I’ll just wait and see rather than speculate. I don’t like myself this version of Ultima IV. I can’t remember if you already tried the Master System version, but that one is really faithfull and was my firs version of Ultima IV. I really recommend that one. Good to be back. After four years of blogging, I still have stacks of games to be going on with. 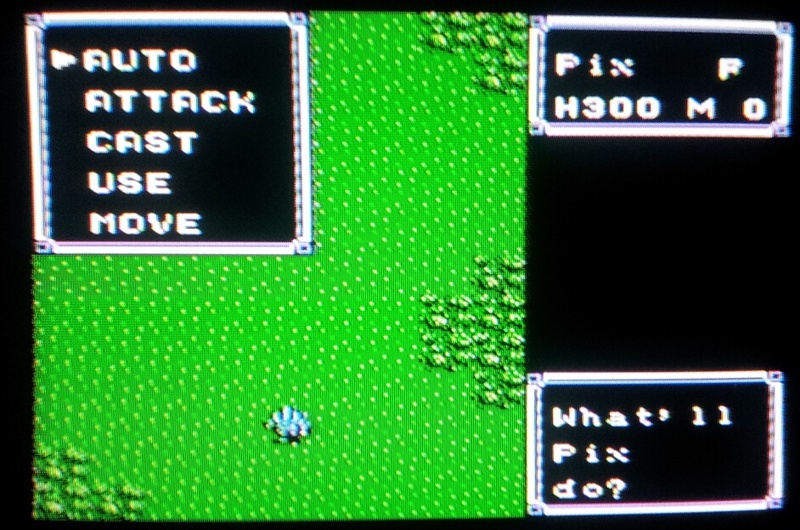 I’ve played around on an emulator with the SMS version and it certainly looked better from the little I saw. It won’t have hurt that it was a later port. This isn’t too bad anyway. It’s the Nintendo ports of Ultima 5, 6 & 7 that I’m really not looking forward to. Haven’t dug out my NES to play this yet. I do have the SMS Ultima IV and agree it’s much more faithful. I can actually play it on my SMS emulator on my phone without any issues. 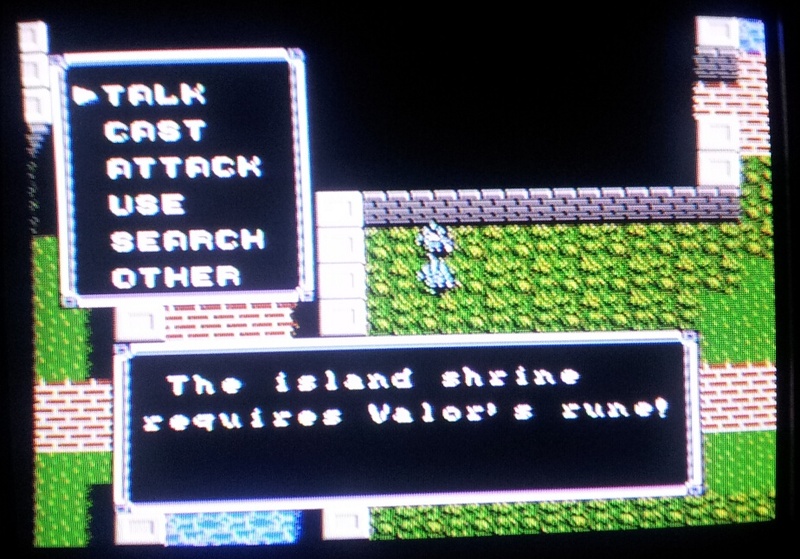 It’s not quite the same Ultima IV that I played on my Atari ST back in the 80s, but it’s pretty close. Enjoy! When I needed screenshots of a console game, I usually play it though a WinTV card. My NES and SNES have both been run through the standard coax cable on my Hauppgauge USB WinTV adapter without a hitch. 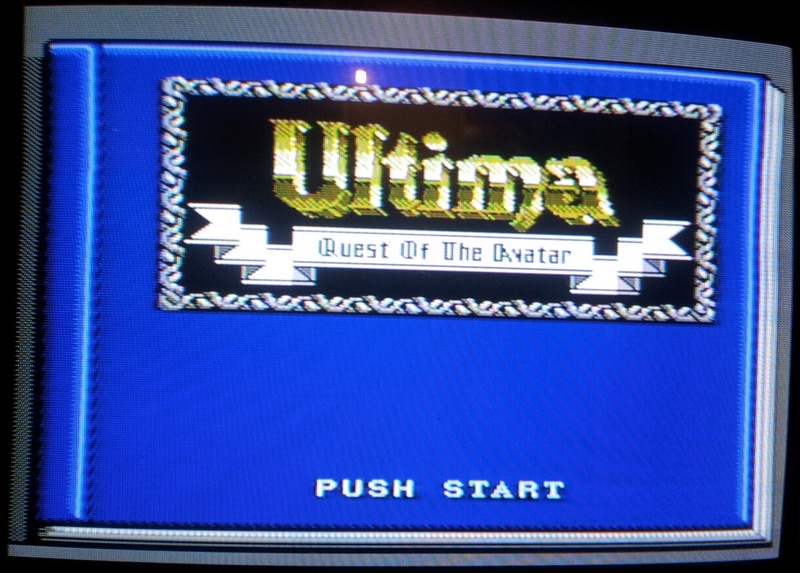 This is fun; Exodus and Quest of the Avatar for NES were my first Ultimas. I didn’t even realize they WERE Ultimas until after I played Black Gate on a PC. The snag with a WinTV card is I don’t own a laptop and there isn’t a PC to hook it up to in that room. I might sort a better screenshot solution out eventually but for now it would be far more fun to spend the money on another old console instead. I’m looking to get a SNES myself. 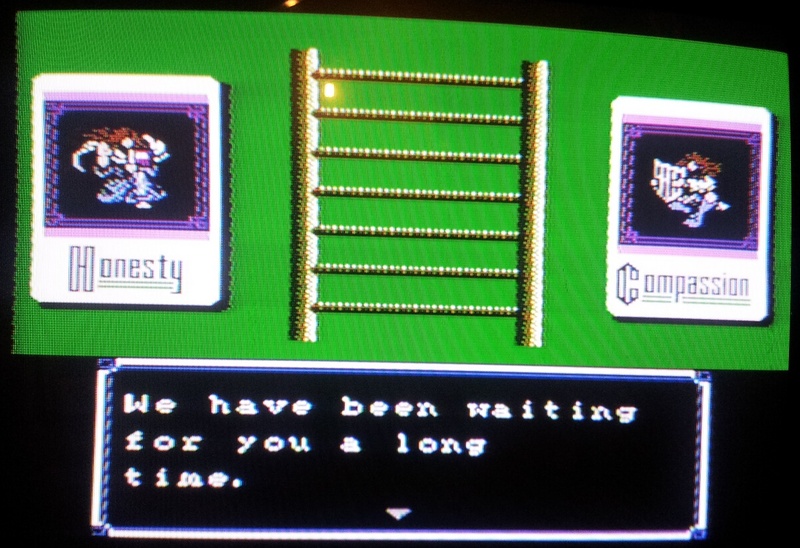 Both of these NES games must have been a great introduction to Ultima actually being arguably more accessible than their computer equivalents. My start was with Ultima Underworld which remains a favourite to this day but I don’t think I got any distance into one of the main Ultima series until after the Ultima Collection came out in the late 90’s. As much as anything, the large number at the end put me off when I hadn’t played any of the earlier titles.